Oh hello world. And people that actually read this space. I know I've been a little MIA.. (You can find me most of the time on Instagram.) but this space will hopefully be updated more often than not. (Watch this space for my London/Paris Travel Diary!) 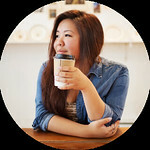 Anyways, what better way to get back into the blogging game than a giveaway with one of my favorite people? 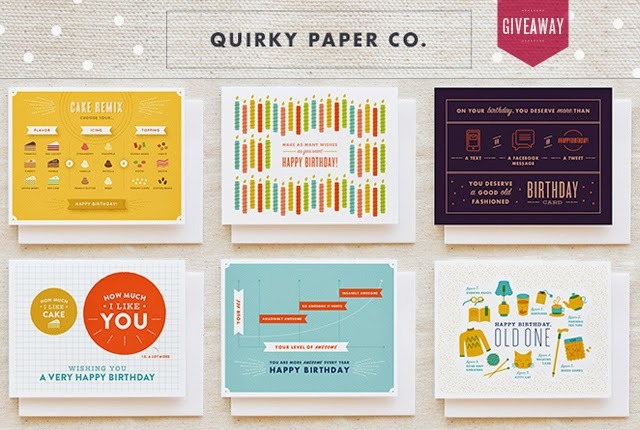 Cheryl is the creative talent behind the awesome, and very unique Quirky Paper Co. Even going back to our high school days in graphic design class, I've always loved and admired her creative eye and passion for design - which is evident in her design aesthetic. 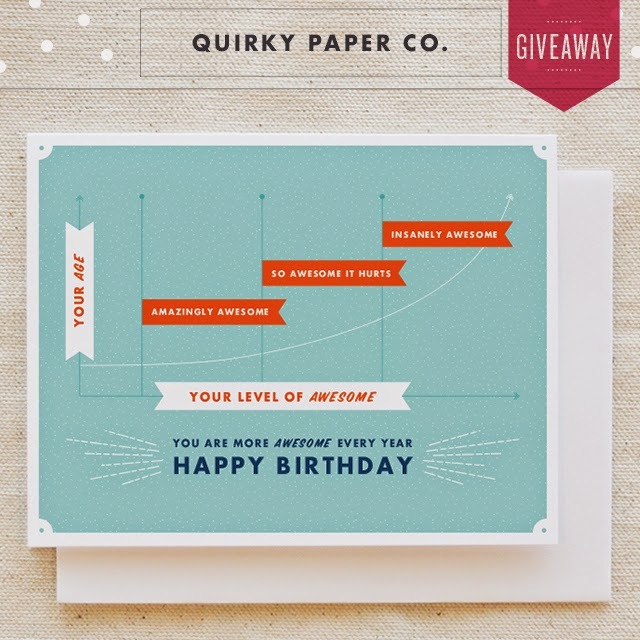 I love that her designs are not your typical happy birthday-congratulations-best-wishes sort of greeting. Each of her designs are thoughtfully crafted, reflecting her style and personality. Oh and if you don't already know, I love snail mail. In fact, I've just stocked up on a box full of cards that I can't wait to send off to people. There's something about a hand-written card and the magic it still holds. This giveaway is open only to U.S/Canadian citizens (Sorry international friends!) and it will close on Friday, April 25th, at 11:59 P.M PST.